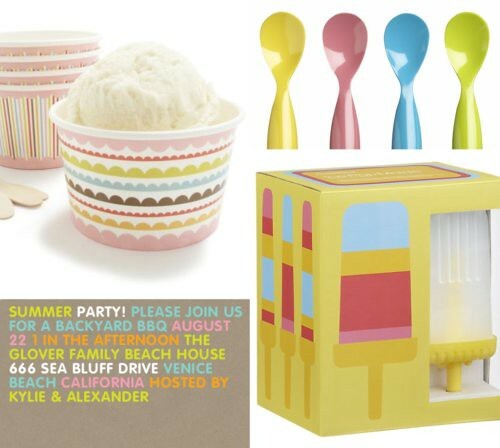 ice cream party accessories | Hip Hip Hooray! We’re already itching for summer and the ice cream parties that come along with it. Here are a few accessories that will make your party cute and complete. So cute! I would love to get those Popsicle molds. I haven’t done home made Popsicles in years!